Think Tank: Apple Watch – Zoë Lance. I really do not understand why this watch even exists, and I’ve been using Apple products for at least half my life. Photo cred: Getty Images via TIME. I really enjoy Apple products. I’ve had two Apple laptops, and am currently typing this blog post on my beloved Macbook Pro. My first smartphone was an iPhone 4. I love my iPhone 5, and cannot work an Android phone to save my life. I spend most of my middle school and high school years with my iPod nano and touch’s headphones seemingly glued into my ears. With all that being disclosed, I do not want an Apple Watch. At all. There are a few reasons why I don’t think the Apple Watch is going to be all that great, but there are also a few reasons why it might be good. PRO: People might pay closer attention to their health. The watch is supposed to have a fitness app built into it, which is potentially a really cool thing. People who are unwilling to shell out money for a FitBit, but can justify the price because the watch can do many, many other things, may actually start to care about how much exercise they are or aren’t getting, their pulse, and whatever else the Apple Watch will eventually be able to measure. In a world where obesity is an epidemic, the Apple Watch may be a weapon to battle it. CON: People might not pay attention to their health at all. There are quite a few apps on both my Macbook Pro and my iPhone that I just don’t use. Some people might end up feeling the same way about the Apple Watch, and will use it for other things they deem more important. That’s not a judgment by any means, but it’s an important point to bring up. The purpose of the Apple Watch may eventually shift away from a fitness angle, if it does become a cultural phenomenon. PRO/CON: People might actually start wearing and using watches, which may discourage people from wearing and using watches. I wear a watch every day out of habit — I used to work retail where the clocks on the registers were unreliable, and I couldn’t use my phone. Most people my age use their phones to check the time, regardless of whether or not they’re wearing a watch. These big watches have become a big deal in the fashion world, and even Apple has said that they want their watch to become a fine piece of jewelry. At the same time though, there is a very real possibility that if the Apple Watch becomes a big enough deal, that people won’t wear real watches at all anymore. Not only does that remind me of Brave New World a little bit, but I think it would be very sad if the watchmaking industry diminished as a result of this product. Apple has a history of edging out its competition and I think that’s just a part of capitalism, but there is something about it that is deeply unsettling. PRO/CON: Apple continues to ingratiate itself into our daily lives. I am all about complementary things in my life, and I really enjoy having a phone and a computer than can “talk” to each other. It has made things for me so much easier, whether that’s syncing my phone or using Messages and FaceTime. With the Apple Watch, people will be able to add another component into the mix for complete technological harmony: computer, tablet, phone and watch. I think we all know how good that would probably feel. At the same time though, I was really mad that Apple forced me to download the Watch app in an iOS update. I have no plans to buy an Apple Watch, but I still have to have the app taking up space on my phone. But I guess it’s truly Apple’s phone and Apple’s vision for its customers’ needs. I think we need to be really careful about how much we let a company like this one into our everyday way of life. CON: Its price point is entirely impractical for most people. CON: We’re going to have to figure out how to treat it as a thing. We already legislate phone and computer usage on multiple levels, so we’re going to have to decide as a society whether or not to legislate the Apple Watch too. Are you going to get a ticket for using it while driving? Are students going to be allowed to check their Apple Watches in class, or wear it while taking a test? If a computer is seized as evidence in a crime, will the police also be able to seize an Apple Watch? And are we comfortable with any of these things? We have to start thinking about these questions, as I’m sure they will become real issues very soon. CON: It is completely gratuitous. Think long and hard about these next two questions. 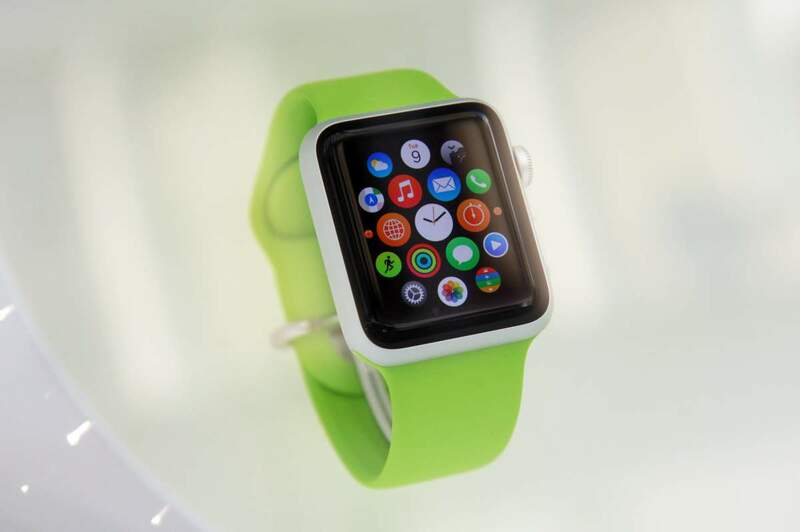 If you’ve found yourself interested in buying an Apple Watch, do you really need one? And if you say to yourself, “Yes, I do really need one,” my second question is why? And I’ll leave it at that. How do you feel about the Apple Watch? Let’s talk about it in the comments.